The Ontario Junior Hockey League today announced its 2017-18 OJHL First and Second All-Prospect Teams and included in the list is Sting prospects Ethan Langevin & Anthony Romano. 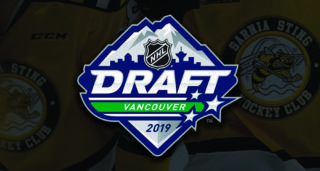 The OJHL All-Prospect Team is comprised of 2000 and 2001 birth-year prospects and is selected by the OJHL general managers, as well as an awards committee comprised of one media member in each OJHL market. Jack McBain has been under the spotlight all season in the OJHL. The Toronto native is projected to be an early selection during the 2018 NHL Draft, June 22 and 23 in Dallas. The son of ex-NHLer Andrew McBain has committed to play for the Boston College Eagles beginning next season. The Kewl South-West Conference Player-of-the-Month for November – 15 points in 11 games played – is in his second season with the Jr. Canadiens, He finished the OJHL regular season with 21 goals and 37 assists in 48 games. He’s skilled with size – 6-foot-3, 196 pounds. McBain, now 18, had a goal and two assists to lead Canada’s National Men’s Summer Under-18 Team to its ninth gold medal in 10 years at the Ivan Hlinka Memorial Cup with a 4-1 win over the Czech Republic in the final in August. He also played for Team Canada East at the World Jr. A Challenge this season. Diminutive Dylan Jackson scored 33 times and added 25 assists in 54 games with the St. Michael’s Buzzers this season – second highest on the team. The Jackson twins, Dylan and Ty, got a taste of the OJHL life in 2016-17. The Oakville brothers were called up to the Buzzers for a handful of games and didn’t look out of place. Dylan, the right winger of the two, totalled 118 points (36 goals, 82 assists) for the Mississauga Rebels minor midgets of the GTHL that season. They’ve committed to join the NCAA Division 1 Northeastern University Huskies in Boston beginning with the 2019-10 Hockey East season. It’s not easy breaking into Jr. A hockey, especially on defence. Christopher Giroday made it look easy this season with the high-flying Aurora Tigers. The 17-year-old from Toronto scored 15 times and assisted on 34 goals in 2017-18. Playing midget for the Toronto Canadiens the previous season, he played four games with the Jr. Canadiens of the OJHL. Last fall, he was invited to camp with Team Canada East for the 2017 World Jr. A Challenge hockey tournament in Nova Scotia. His play this season helped also earned him an offer from Western Michigan University. Giroday is scheduled to play at the Kalamazoo school beginning in 2019-20. Dustyn McFaul is proving it’s worth the long commute to Pickering. 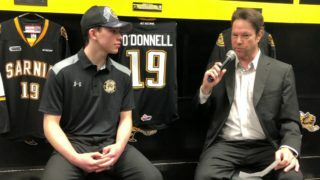 The defenceman from Waterdown, near Hamilton, joined the Panthers this season from the Niagara North Stars AAA midget team. McFaul has committed to join the NCAA Division 1 Clarkson University Golden Knights in Potsdam, NY, beginning with the 2019-20 season. McFaul is the 196th ranked North America skater by NHL Central Scouting for the 2018 NHL Draft in Dallas in June. In 38 games this regular season, he had four goals and 15 assists. The six-foot-two, 190-pound McFaul was named to the roster for the Canadian Junior Hockey League (CJHL) Prospects Game in Mississauga in January but was unable to take part due to an injury. Ethan Langevin has made the smooth transition to Jr. A hockey few 16-year-old goaltenders know. He went 13-12-0 with the upstart Pickering Panthers while sporting a 2.53 goals-against average and a 0.914 save percentage. His regular season numbers, which included wins in six of eight games late in the season, also included two shutouts. 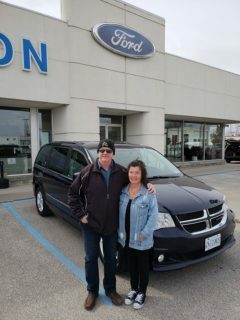 The Brooklin resident helped the Whitby Wildcats minor midget AAA team win an Ontario Minor Hockey Association championship and advance to the quarter-finals of the OHL Cup last spring. 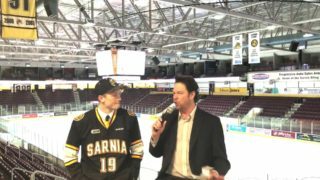 The sixth-round pick in the 2017 Ontario Hockey League draft by the Sarnia Sting committed to the OHL team early this season. He made his OHL debut in a 2-1 loss to Erie Feb. 24. He was named third star. Anthony Romano may be the definition of the late bloomer. Undrafted by all Ontario Hockey League teams following his minor midget season, 2015-16, with the Toronto Red Wings, he returned to the GTHL for a year of midget with the Toronto Canadiens. He also had four points in seven playoff games with the Jr. Canadiens of the Ontario Junior Hockey League a year ago. Last spring, he was selected by the Sarnia Sting, eighth overall in the OHL’s inaugural midget draft. The Vaughan resident opted to sign with the Aurora Tigers of the OJHL last summer. Good move. The 5-foot-11 forward represented the Tigers at the Eastern Canada All-Star Challenge in Trenton last November. The next month, he played for Team Canada East at the 2017 World Jr. A Challenge hockey tournament in Nova Scotia. The 17-year-old centre also committed to play NCAA pucks at Clarkson in 2019. Romano sored 18 goals among 44 points in 40 games this season. Thomas Maia committed to NCAA Division 1 Rochester Institute of Technology for the 2019-2020 season in December. The 17-year-old went on to score 16 goals and add 32 assists to finished third in scoring for the Blades this season. The Brampton resident had 15 goals and 20 assists with the Milton Icehawks in 2016-17. He was dealt to Oakville last summer. Maia was a ninth-round draft pick of the OHL’s Mississauga Steelheads in 2016 but opted for the OJHL and the college route. Championship pedigree? The left winger won seven GTHL titles with the Mississauga Rebels. The surname is familiar, especially when paired with Buffalo Sabres. But Trevor Peca is making a name for himself with the only Ontario Junior Hockey League located in the United States. Trevor had 48 points, including 12 goals, to tie for top spot in Jr. Sabres scoring this year, his first season of junior hockey. Earlier this season, Trevor confirmed his commitment to join the NCAA Division 1 Miami University Redhawks beginning with the 2019-20 season. The 6-foot-1 forward from Clarence, NY, has been a part of the Buffalo Jr. Sabres youth hockey program for the past six years/The 17-year-old is the son of Michael Peca, the former captain of the NHL Sabres, who also played for the Toronto Maple Leafs, Vancouver Canucks, New York Islanders, Columbus Blue Jackets and Edmonton Oilers during a 13-year career. Michael Peca, was a two-time winner of the Frank J. Selke Trophy and an Olympic gold medal. Declan Carlile of the Wellington Dukes is the latest in a long of players from the United States who have found success north of the border – in the Ontario Junior Hockey League. The native of Brooklyn, Michigan, joined the Dukes this season following two years at the Culver Military Academy in Indiana. He played youth hockey in Michigan for the Little Caesars and Compuware organizations. It’s been a solid year. Carlile played in the CJHL Top Prospects Game in Mississauga in January. He committed to join the NCAA Merrimack College Warriors in North Andover, Massachusetts, beginning in 2019-20 earlier this season. The 6-foot-2, 190-pound defenceman scored six goals and assisted on 33 others in 54 games with Wellington this season. It’s a Wellington Dukes thing. Rookie defenceman Zach Uens will join the Merrimack College Warriors beginning with the 2020-21 season. He’ll also join Dukes and 2nd Team OJHL Prospects teammate Declan Carlile who is schedule to enroll at the Massachusetts school a year earlier. A native of Belleville, Uens joined the Dukes full-time this season following a 21-point season with the Quinte Red Devils minor midgets. He played two games with the Dukes as an affiliate last year and was a fourth-round selection of the Flint Firebirds in last year’s Ontario Hockey League draft. The 16-year-old had five goals and 13 assists in 54 games with the Dukes this year. Nathan Torchia has found a home in Georgetown. After joining the Raiders from the Stouffville Spirit Dec. 1, Torchia went 10-4-0 with a goals-against-average of 1.46 and a save percentage of .951 to complete the OJHL regular season. He was named Kewl OJHL goaltender of the month for January and February. The 17-year-old has also spent time with the Oshawa Generals of the Ontario Hockey League this season, appearing in one game. He was a fourth-round pick of the Generals in 2016 OHL draft. A native of Baden, Ontario and a product of the New Hamburg Huskies and Waterloo Wolves minor hockey organizations, Torchia would begin his junior hockey career with the Orangeville Flyers of the OJHL in 2016-17. He was traded to Stouffville during the off-season. His father Mike starred in goal for the Kitchener Rangers of the OHL. Mike was drafted by the Minnesota North Stars and played for the NHL team when it moved to Dallas.